We would just like to provide a notice to all customers on behalf of Geotab about upcoming changes that will affect the support of MyGeotab in certain browsers. For those of you running Windows XP, you likely know that this operating system only supports up to Internet Explorer 8, and that this version and all its predecessors do not have the ability to run the MyGeotab system inherently. Previously, Geotab has gotten around this issue by utilizing the Google Chrome Frame system which allows advanced features to be embedded in older browsers, including Internet Explorer 8. However, Google will be discontinuing support for this product in January 2014. 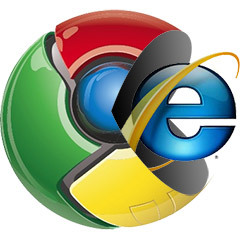 Upgrade your browser to a newer version, and in the case of Internet Explorer, at least version 9. Geotab will soon be a releasing its own browser so-to-speak, which people will be able to launch from an executable file (.exe) to bring them directly to the MyGeotab interface, regardless of what Internet Explorer version they have. You can continue to use the Google Chrome Frame for the short term. Even after Google discontinues support, it will still function, but as technologies change it will become much more difficult to troubleshoot or accommodate new updates. Feel free to get in touch with our support department if you have more questions.